Mounting electronic accessories to your BMW® motorcycle with ZTechnik Accessory Mounts is as easy as 1-2-3! (1) What do you want to mount? A GPS? Radar detector? An MP3 player? Something different? 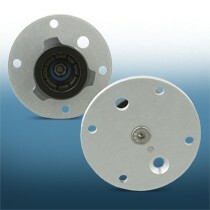 (2) Find the Accessory Mount Accessory Adapter that will do the job. (3) Find the Accessory Mount(s) specific to your bike. That's all there is to it! Mounting electronic accessories to your BMW® motorcycle with ZTechnik® Accessory Mounts is as easy as 1-2-3! (1) What do you want to mount? A GPS? Radar detector? An MP3 player? Something different? (2) Find the Accessory Mount Accessory Adapter that will do the job. (3) Find the Accessory Mount(s) specific to your bike. That's all there is to it! ZTechnik Accessory Mounts are designed to fit perfectly and to last as long as your bike. Everything you need is included. There are ZTechnik® Accessory Mount Adapters to fit almost any electronic accessory you may want or need to carry on your bike. 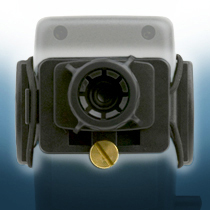 Most popular brands of smart phones, GPS devices, and radar detectors have a corresponding Accessory Mount Adapter or Cradle that fits the 3rd Generation Accessory Mounts or the newer 4th Generation with the universal 17mm ball adapter. ZTechnik Accessory Mounts and Adapters allow you to mount almost any electronic device you may want to bring along on your ride. So no matter where you go, you CAN take it with you! 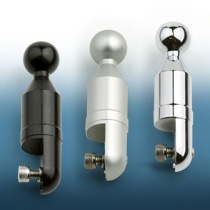 ZTechnik® Accessory Mounts and Adapters are made from super-strong 6061 T6 Aluminum and Stainless Steel, and are finished in Anodized Black, Anodized Silver, or Brilliant Chrome. Most Cradles are made from injection-molded black ABS plastic. All screws and bolts are polished stainless steel. 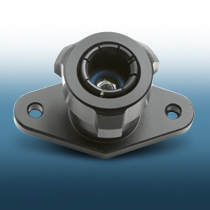 All Accessory Mounts and Adapters include installation instructions, mounting hardware, installation tools, and (where applicable) Velcro® industrial fasteners.